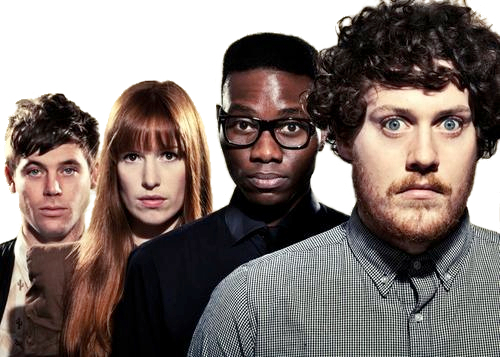 UK electro rock band Metronomy are gearing up for the release of their third album, The English Riviera, next April on Because Music. The first single, “She Wants”, is available today as a free download from the band’s official website, where you can also watch the video directed by Jul & Mat. The English Riviera is the follow up to 2008’s critically acclaimed Nights Out, a second album that felt like a new beginning for Metronomy. It was the first to be vocal-led, with the self-effacing Joseph stepping up and grabbing the mic for most of the tracks. Metronomy now operate as a four piece with Anna Prior on drums, Gbenga Adelekan on bass, original member Oscar Cash on keys/sax, and Joseph Mount on vocals, keys and guitar. Listen to two remixes below: the first is by Ed Banger Records’ artist-du-jour Breakbot and the other is by French electro duo Jupiter.